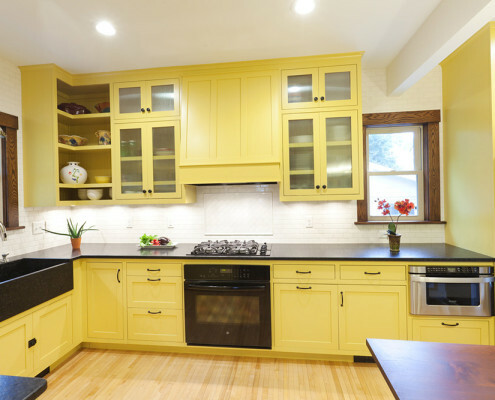 This family of four began their renovation by simply wanting to replace their kitchen cabinets with new ones that would close properly. 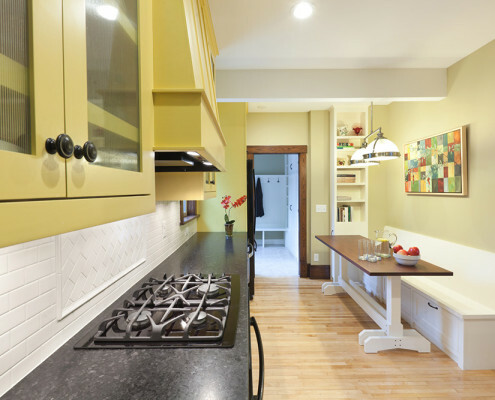 Through conversations with the homeowners, we discovered they needed a place to store shoes and coats, they had a second dining room that was seldom used, and the only shower in the house was located in the basement. 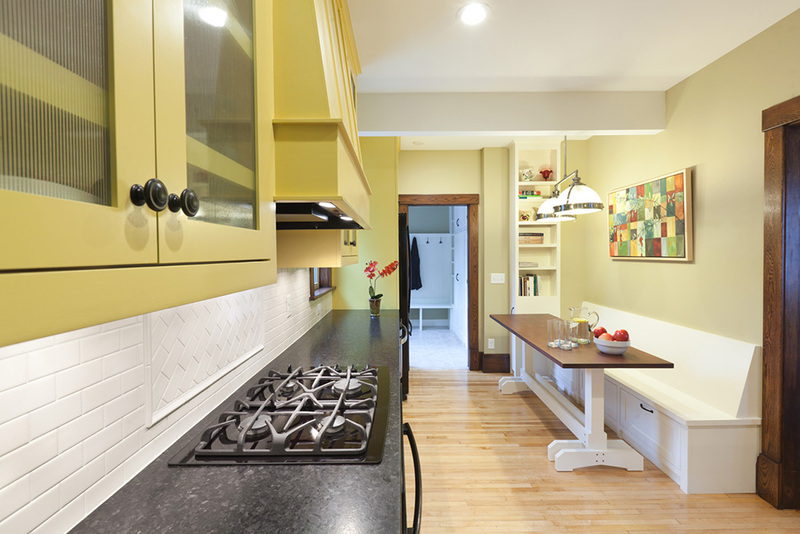 We were able to reorganize the space with an eat-in kitchen that provides a table for homework and together time during dinner prep. 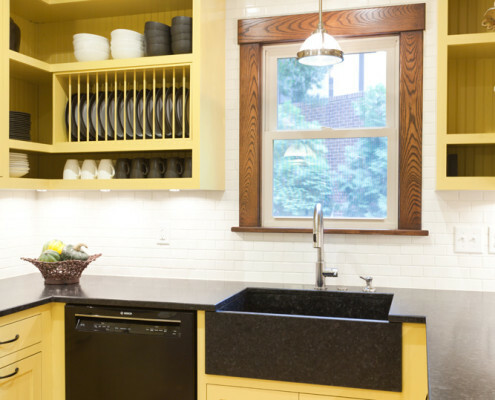 They now have a mudroom with storage for coats and shoes as well as an entire wall of pantry storage. 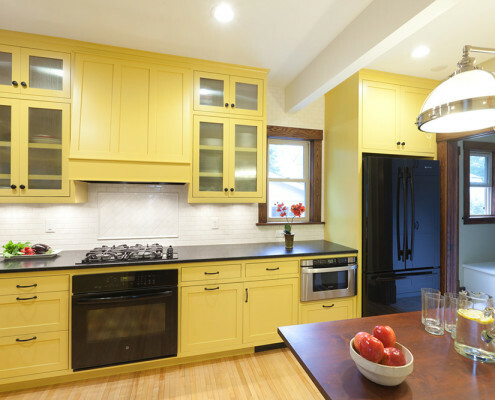 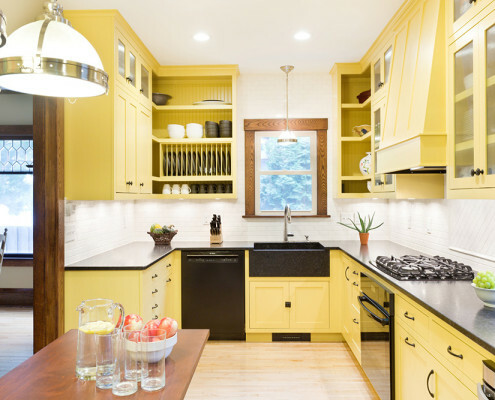 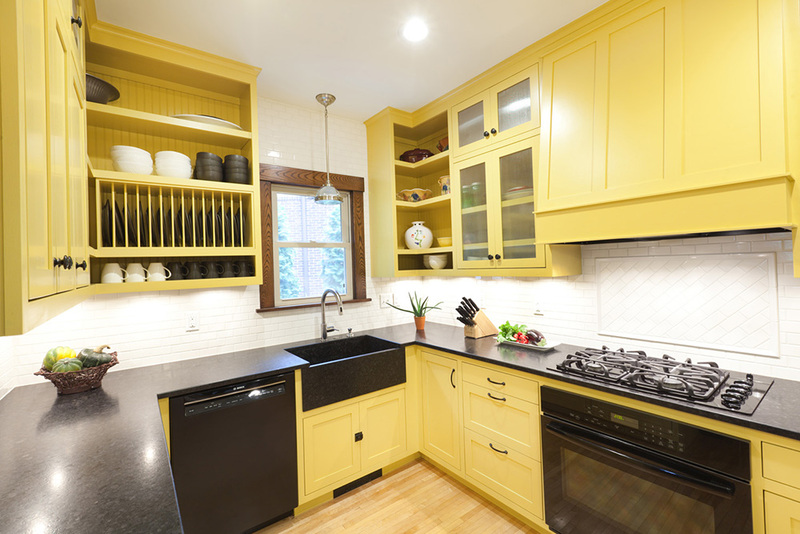 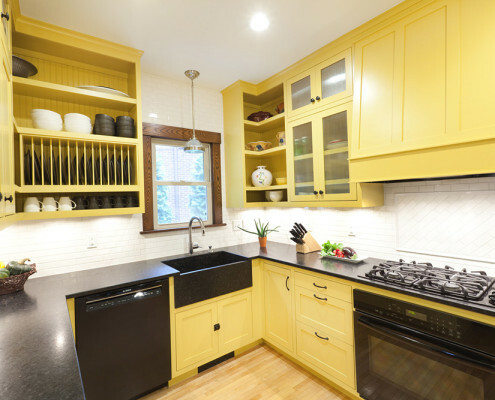 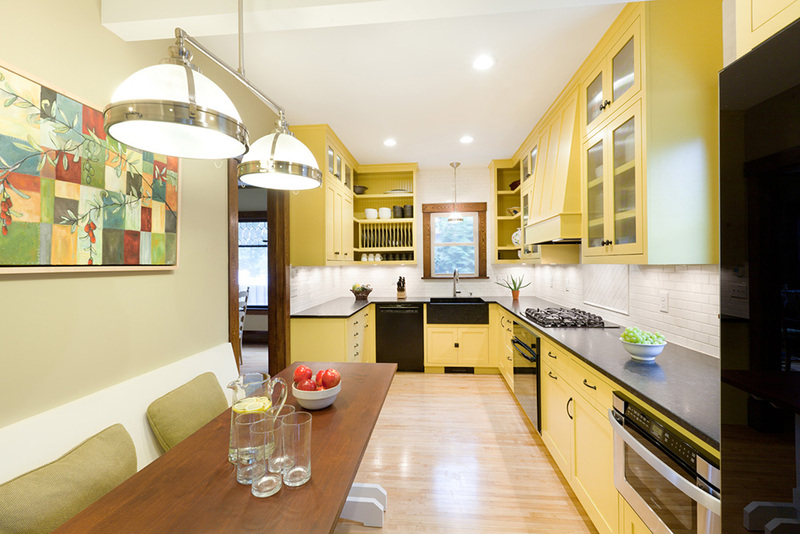 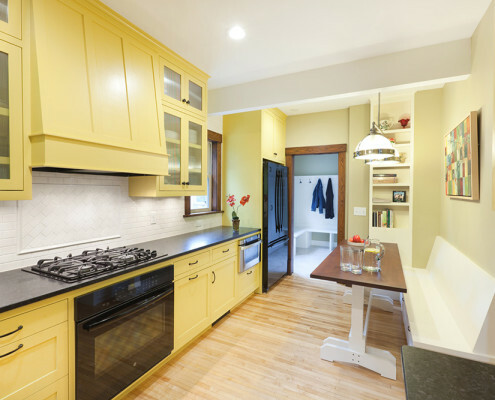 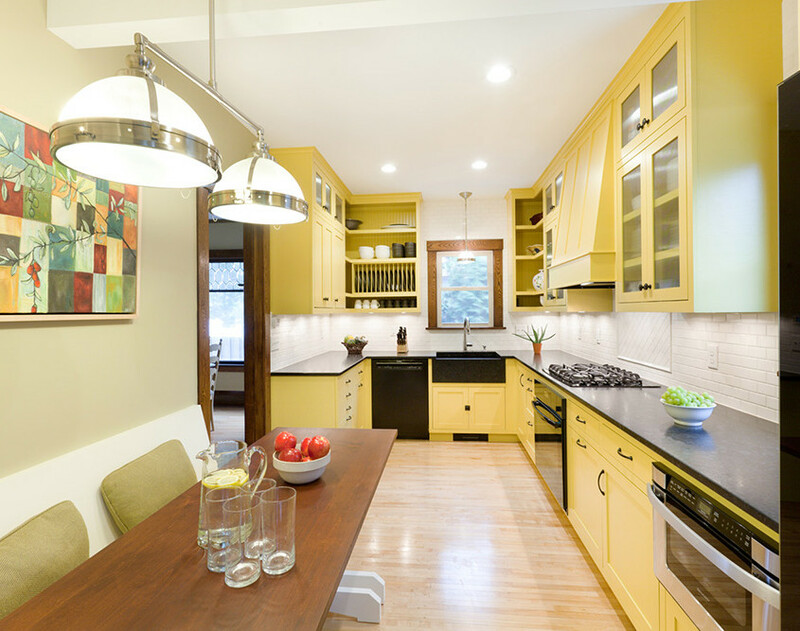 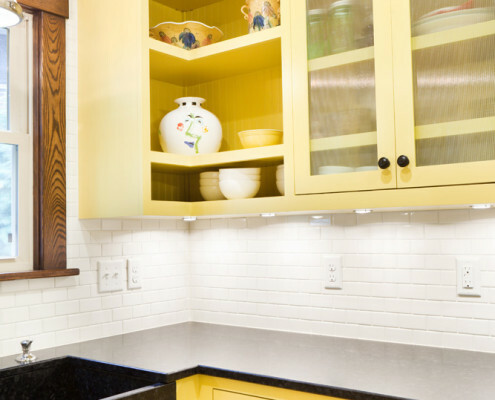 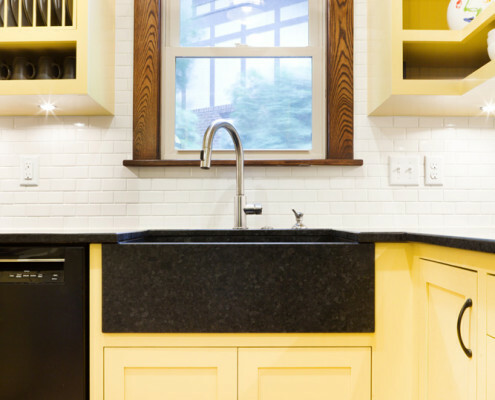 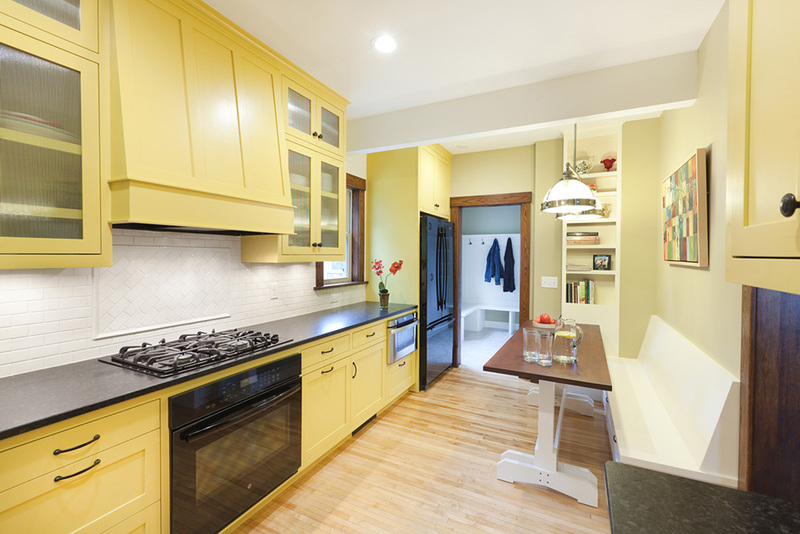 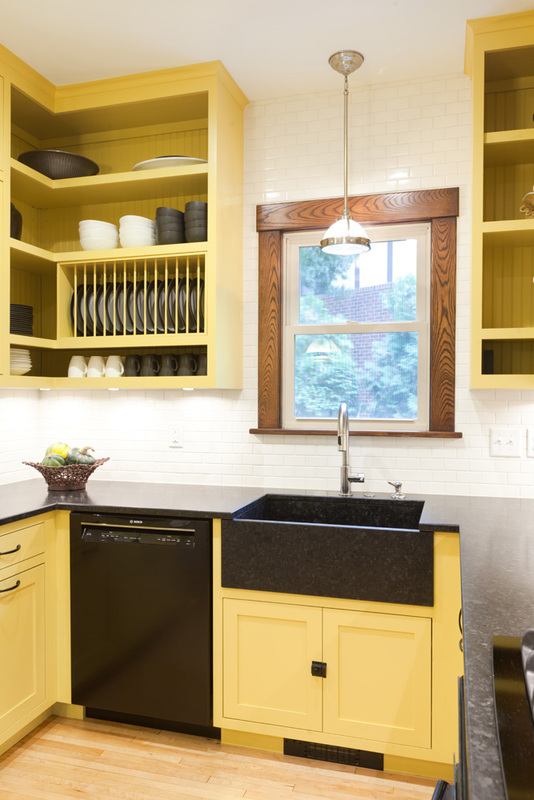 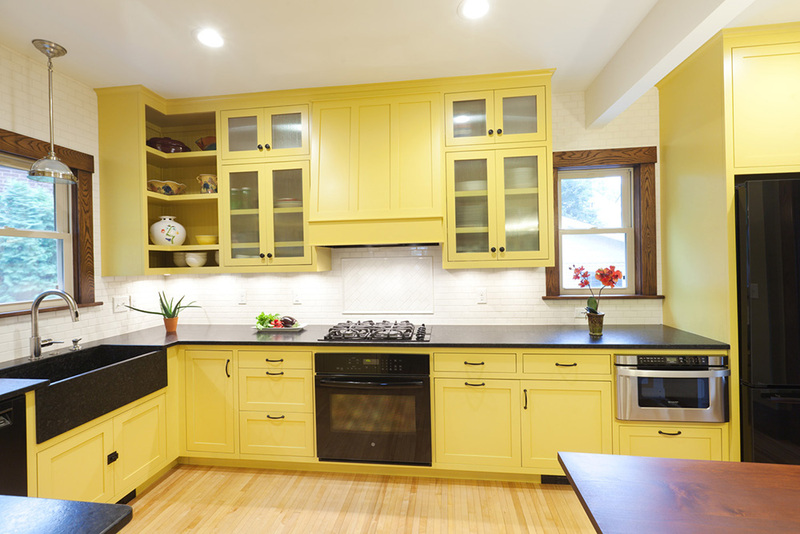 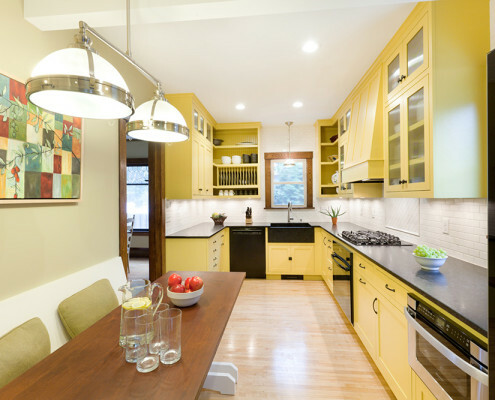 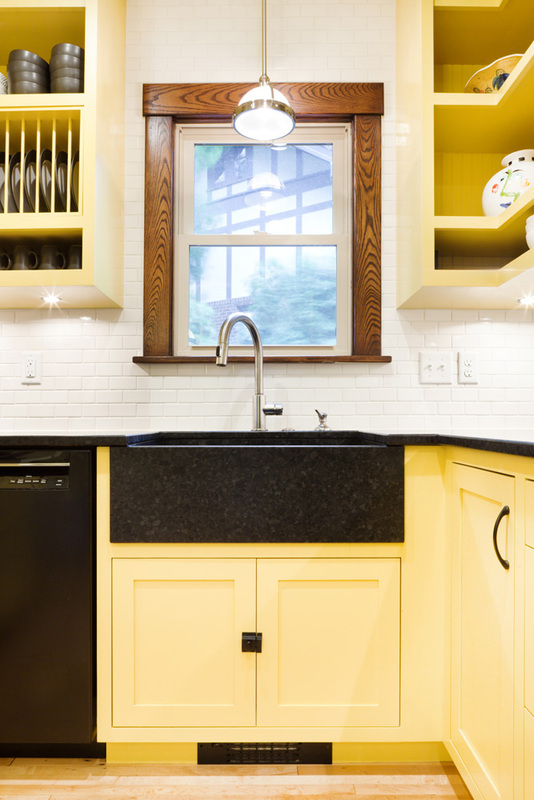 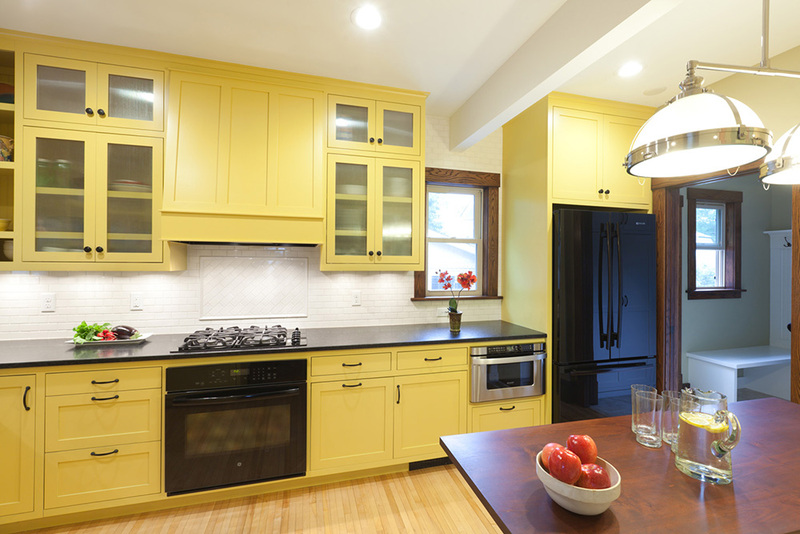 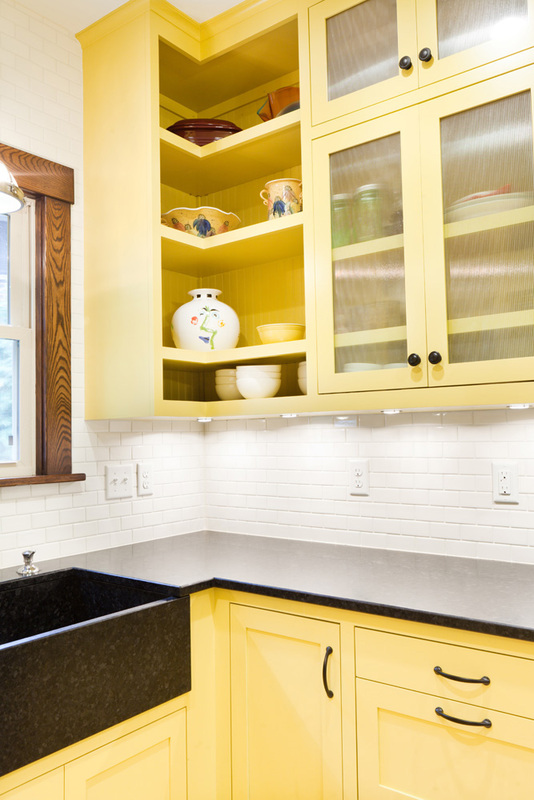 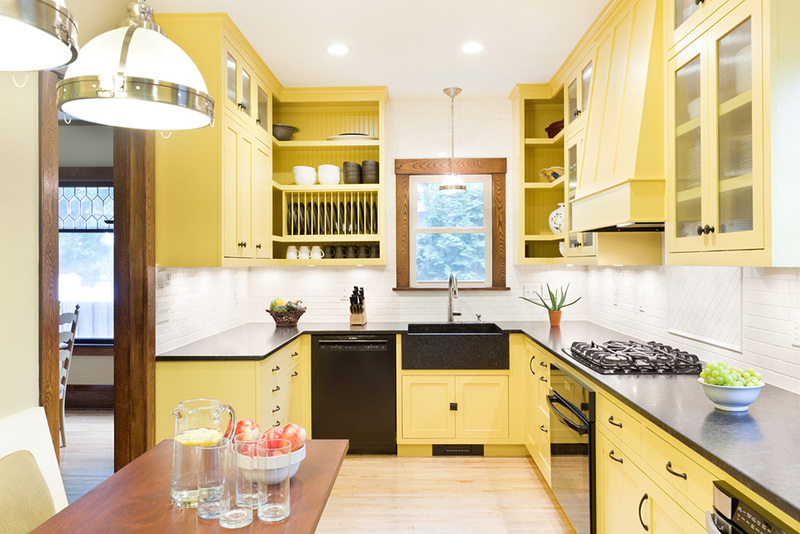 A black granite countertop and an apron sink, yellow painted cabinetry and trim to match the original part of the home give their new kitchen a fresh update and with a vintage appeal.